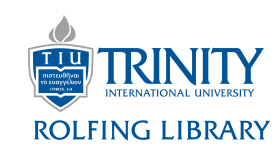 1) If you have searched in our catalog but have not found the book you are looking for, you can search I-Share libraries by changing the search from "TIU Catalog Only" to "All I-Share Libraries." 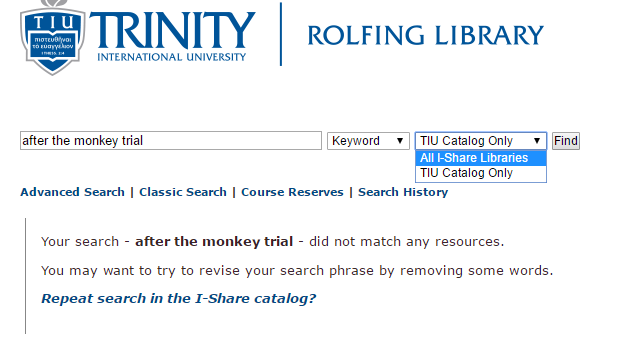 You can also click here to access the I-Share catalog directly. 2) ​You will need to log in to your I-Share account in order to request a book. ​3) Select the item you would like to borrow. 4) Click on "Request First Available." The default for the pick-up library is here, but you can have it sent to any I-Share library.